Cloud Security Standards: What to Expect and What to Negotiate is a guide to security standards, frameworks, and certifications that exist for cloud computing. 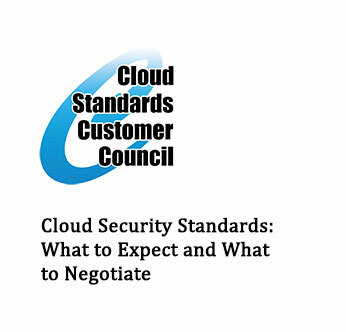 This guide will help you assess the security standards support of cloud service providers. As customers transition their applications and data to use cloud computing, it is important that the level of security provided in the cloud environment is equal to or better than the security provided by their traditional IT environment. Cloud security standards and their support by prospective cloud service providers and within the enterprise is a critical area of focus for cloud service customers. The landscape has matured with new cloud-specific security standards, like ISO/IEC 27017 and ISO/IEC 27018 for cloud computing security and privacy, being adopted.